Prerequisite - none, this workshop is open to all. Course length: 4 days, 24 hours for CPD purposes. In today's world we all need full access to our inner and outer resources, in order to survive and thrive with the daily demands being presented to us. This course teaches the process of allowing the deep wisdom of the body to inform and help us navigate in our living, working, healing and relating in the world. Coming to respect and listen to this body wisdom as the ground of our knowing helps us rediscover our innate spirituality and to develop our emotional intelligence. Learn how to hold a strong therapeutic presence that maximizes treatment outcomes, prevents burnout and helps you enjoy your work more. Discover how to assess your energy reservoir throughout the day to combat exhaustion. Reconnect to natural energy habits to rejuvenate yourself and stay energetically full. Find out how to establish and maintain healthy boundaries at work and at home. Integrate internally inspired movement to heal the nervous system and improve concentration levels. Practice simple patterns of breathing that can calm the nervous system to reduce the chronic "fight or flight" response in you and your clients. Take away step-by-step protocols for holding a strong therapeutic presence for yourself and others, using touch and without touching. PLUS, You'll take home a comprehensive study guide for future reference. For more than twenty five years Suzanne has taught and mentored in the area of conscious awareness and its relationship to the healing process. She has developed a uniquely creative approach to energy, presence, grounding and integrative exercises taught beautifully in the Healing From the Core program, which includes a six level training series and a complementary audio series. All of this is based on her years of experience helping fellow healthcare practitioners hold a healing space for themselves, as well as developing their own therapeutic presence for clients and patients. She is passionate about teaching people practical skills that allow them to feel the joy of being present in each moment of their lives, without burning out. To that end, she has just completed a book and companion audio, Full-Body Presence: Learning to Listen to Your Body's Wisdom. 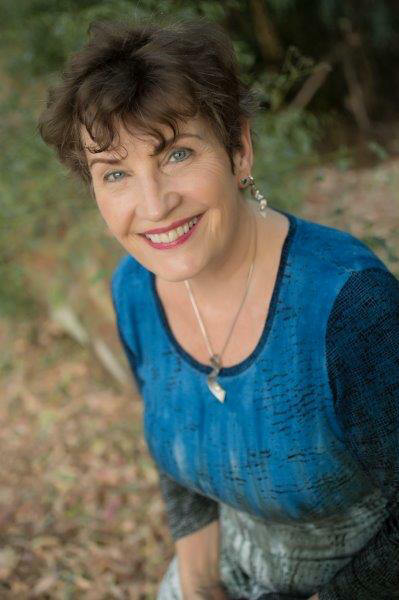 Since 1986 she has been a certified instructor of CranioSacral Therapy and SomatoEmotional Release with The Upledger Institute, teaching both nationally and internationally. She is also on the faculty at Esalen Institute, and provides ongoing staff development training there, as well as collaborating regularly with Emilie Conrad, integrating Continuum movement and healing presence. Known for her honest, grounded, nurturing manner, Suzanne assists others in going to the heart of their healing process. She is adept at weaving together mind, body, and spirit to create a unique environment where profound healing can occur. To accomplish this, she draws on her wealth of experience as a professional, teacher and therapist, a wife and mother, and generously shares from all areas of her life. She has a private practice in Reston, Virginia USA. Suzanne's gift is in translating the unspoken, energetic principles that are the foundation for being an excellent therapist, into practical, learnable steps - critical for all of us in today's world." John E. Upledger, D.O., O.M.M.